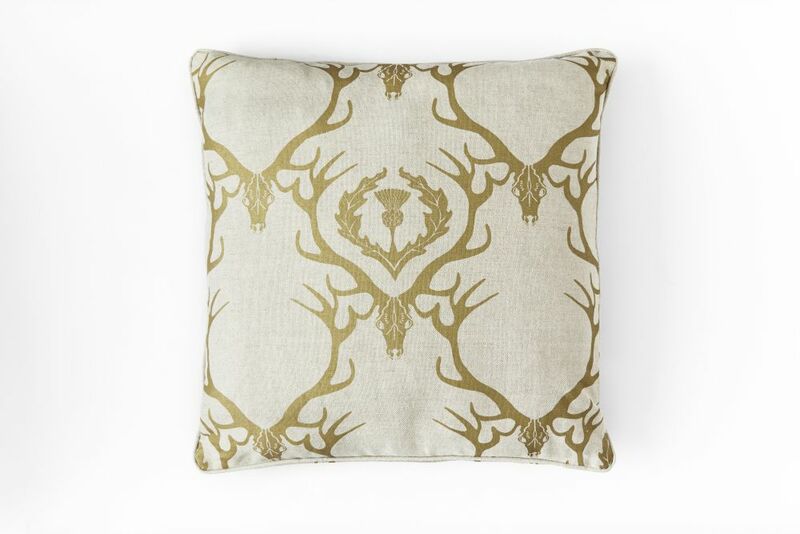 Stags heads and thistle in a damask style repeat, printed on natural un-dyed linen cotton. - Deer Damask in claret with colour coordinated piping and reverse. - Deer Damask in duck egg with colour coordinated piping and reverse. - Deer Damask in gold with self piping and matching reverse.